These aren’t spy photos they are all legit! The photographer, Michael “Fingers” Bond, ok’d it with the Tatra staff first. I can’t really tell you a great deal about them, other than they had all been at Tatra’s factory / test track in Koprivnice, Czech Republic and also they all look like right old dog’s even though some are relatively new. Koprivnice, Czech Republic I hear you say, if you type it in to Google maps, to the East of the small town you will see the Tatra factory and the test track heading off into the forest. The truck above looks to be a 6×6 troop carrier. The Tatra website says it could be a T 810-1R0R26 13 177 6×6.1R, so now you know. It comes with a Renault engine and clearly a Renault cab. 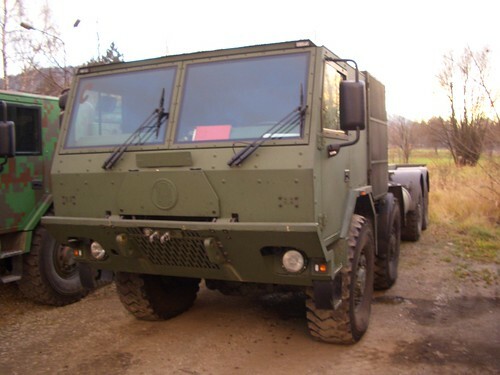 The 2 trucks above are both T 815-790R99 38 300 8×8.1R or if you like they are 8×8 military cargo trucks. The plain green one is a Universal Container Carrier. 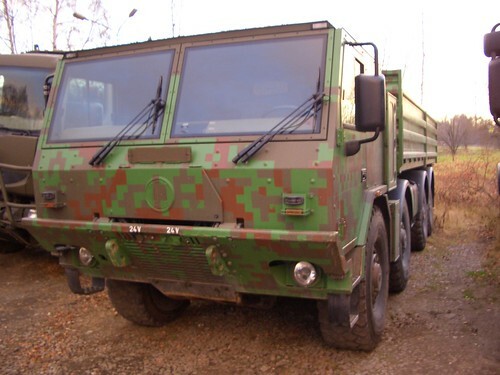 Where as the one with the digital camouflage is part of a potential order for the Polish army. 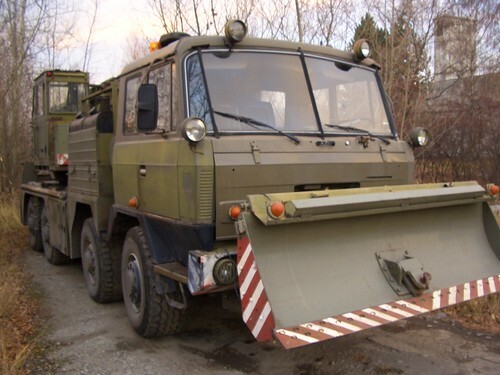 This model happens to be the T 815-790R99 38 300 8×8.1R or in simple terms it’s an 8×8 High Mobility Heavy Duty Universal Cargo/Troop Carrier………….No I have no idea what i’m talking about either, although going through the Tatra website is strangely enjoyable and well worth a visit. The cab on the 2 above is apparently the new cab, although I don’t know quite how new, where as the old Beast in the Bushes below is the old cab. It sounds perfect for Saturday night seafront cruising in Southend-on-Sea, it’d soon show those crappy boy racers in their Vauxhall Nova’s and Citroen Saxo’s who’s boss! Let’s go! !………..don’t mention the beast in the bushe’s in Southend or they’ll all want a go. 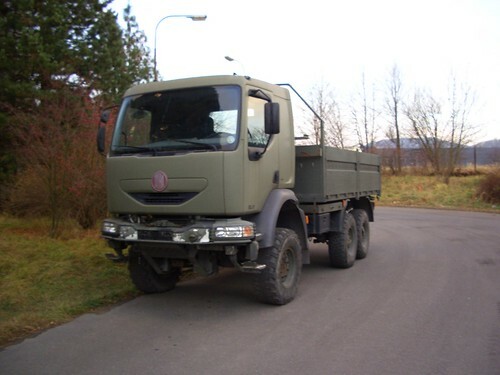 This entry was posted in Drivers Photos, Odds, Roving Reporter!, Tatra by truckbloguk. Bookmark the permalink.